We need not to reiterate that millions of forests are being chopped down for producing paper. The whole process of paper manufacturing also emits greenhouse gases and consumes water. And the waste generated by paper ends up in our landfills. Today in the IT age, humanity has the option to reduce its consumption of paper as more and more people of the world possess a Personal Computer (PC) or a Personal Digital Assistant (PDA). We, at CareTel OSS Billing, are doing our bit to make the planet greener. Our exclusive and advanced CareTel software solution for the Telecommunications industry can generate accurate bills online for your millions of mobile customers. Our software computes the cost of the bill on the basis of DUF (Daily Usage Files) and Call Detail Records (CDR). CareTel OSS Billing Software can be further customized to include calculations of Tax. And the Bills can be generated on a daily, weekly or monthly basis as you require. The generated bill is formatted in such a manner that it can be sent as an e-mail or as an attachment file. The Bill, with the breakup of the cost in various heads, can be sent out to millions of your customer with a click, through an integrated software application. And most of all, the emails will reach the mailboxes with 100% certainty. Now compare this with snail mail. Posted bills to the address may not always reach on time, depending on the postal facility. In case the customer changes their address, or if there is an error in the address, then the Bill would just not reach the customer and non-payment of the bill would lead to the severing of connection for no fault of the customer. Now, this is a sure method to get disgruntled customers! Not to mention that every bill consumes at least one sheet of paper, and also the envelope. So why choose this tedious, slow and polluting method when you have a convenient option of choosing the paperless online billing solution. All your customers would also be happy to receive bills online. In case there are some exceptions, like senior citizens who aren’t comfortable with computers yet, then you can send paper bills only to them. We strongly recommend this method to all our telecom clients. Paperless Billing is not just our service, but also our Corporate Social Responsibility. 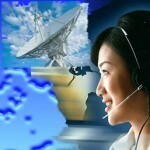 This entry was posted in Telecom Billing Services and tagged Telecom Billing OSS, Telecom Billing Services by admin. Bookmark the permalink.